Tenerife, known by many as “the sun of Europe”, it is part of the Canary Islands and has become one of the “trend destination” in Spain that increases, each year, its number of visitors. But, why is there such a demand for tourism? 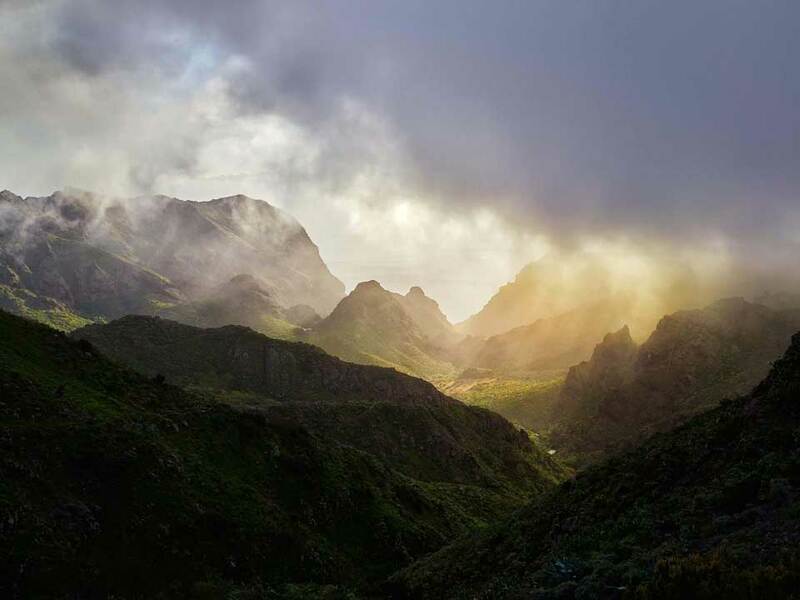 In West Tenerife we have plenty of reasons why you should visit the island, but we give you 10 reasons why you should come, at least once in your life. Without a doubt, it is its greatest attraction. Tourism visits the island throughout the year thanks to its subtropical climate almost 365 days, which makes it a mandatory tourist destination. In general, there are no cold or intense heat seasons, since the average annual temperature is about 23ºC, although the atmosphere is refreshed by the sea breeze and the trade winds. Rainfall is scarce and is considered one of the regions with the most hours of sunshine within the European Community. 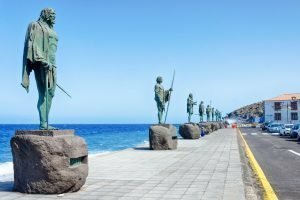 Before the Canary Islands were conquered they were inhabited by the so-called Guanches, ancient aborigines of different ethnicities. As a result of this, some island’s municipalities such as Candelaria maintain sculptures that make reference to these inhabitants who did so much for the island. 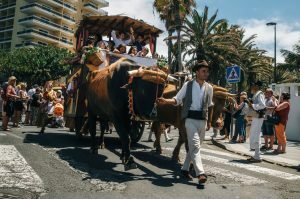 As a result of emigration, the Canary Islands combine tradition and folklore with modern life, offering richness and cultural diversity adapted to a series of uses, customs and ways of life defined. You will be surprised by the kindness and humility of the “chicharreros” locals, always willing to cooperate with the tourists who come to the island and to always offer a friendly service. And why chicharreros? The use of this term was used among the inhabitants of the Santa Cruz de Tenerife fishing port, humble fishermen who consumed horse mackerels, fish and cheap fish of low quality. From that moment, it would become the name of the population of Tenerife. Considered the second best carnival in the world, Tenerife welcomes thousands of people who fill the streets of the capital with great shows and original themed costumes. The pilgrimages, another great attraction of the archipelago, consisting of the pilgrimage to a shrine or hermitage with the help of floats or on foot that, over the years, has become a celebration suitable for the whole family. 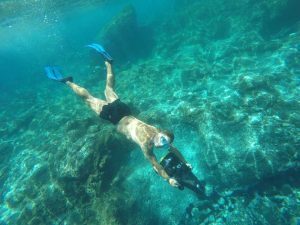 If for something the island of Tenerife is characterized by the variety of activities and water sports that can be done, thanks to the number of beaches available for it. 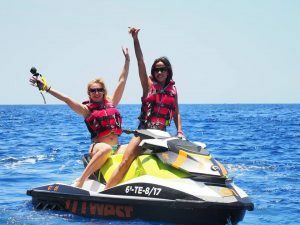 In this sense, if you are one of those who seek adrenaline, in West Tenerife you can sail the waters in our jet ski. 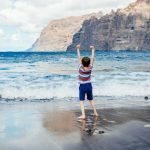 If, on the other hand, you like to explore the seabed, you can do it with our latest-generation sea scooter and discover the richness of Tenerife’s funds. Black, white, reddish sand, natural pools or a multitude of coves; In the variety is the spice. 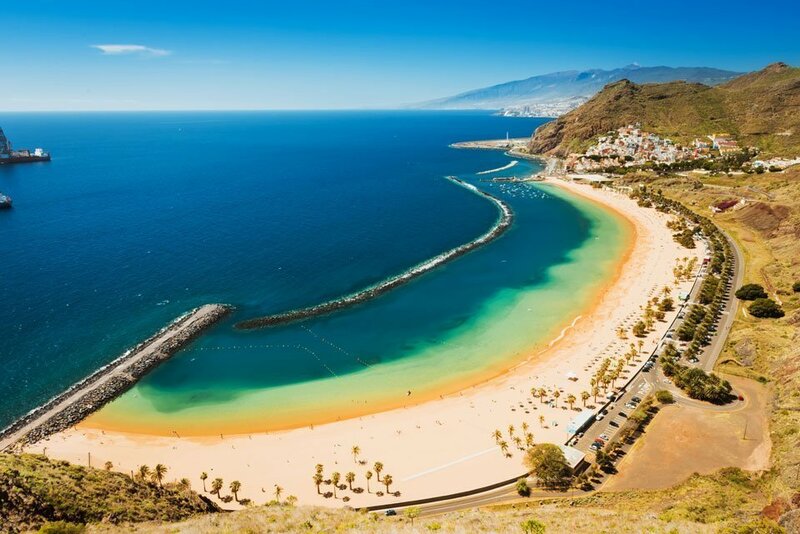 Tenerife has more than 70 kilometers of coastline in which many of the most beautiful beaches in Spain are located. 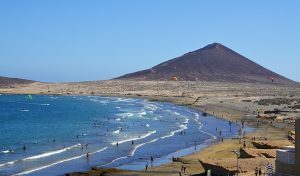 In the northern area, there are beaches such as El Bollullo, El Socorro, Benijo or Los Patos, black volcanic sand that leaves no one indifferent. The southern area is known for its white sand beaches, including Las Vistas Beach or La Tejita, the largest beach with more than 1 kilometer long. Wrinkled potatoes with mojo, considered one of the 7 gastronomic wonders of Spain, top the list of star dishes of Canarian cuisine in the well-known guachinches, traditional food establishments located, mostly, in the north of the island. 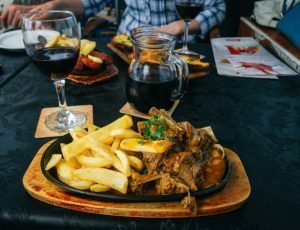 The peculiarity of its dishes is the simplicity, flavor and variety of foods, with a marked heritage of Guanches (previously named) and Latin American cuisine. In general, Canarian architecture is characterized by stately mansions compared to the humble and popular. With typical balconies and interior patios, they make up a set of great architectural beauty. With regard to public buildings, we are facing an original architecture, which has been changing style from the neoclassical, through modernism and post-war architecture. 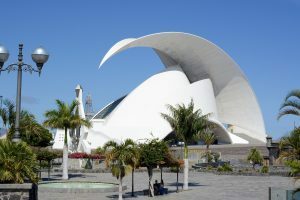 Each of the architectural pieces that Tenerife has (such as the Tenerife Adán Martín Auditorium in the image) draw the attention of each one of you who visit them. There is no doubt that a large percentage of tourists who come to Tenerife in search of new experiences. 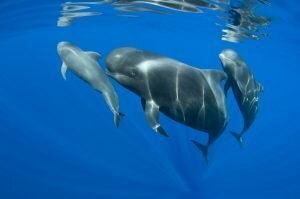 One of them is the possibility of spotting cetaceans in the warm waters of the Atlantic Ocean. 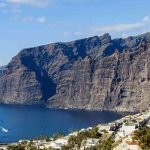 The west coast of the island, specifically the area of Los Gigantes Cliffs ideal for this type of activities, where it is common to see bottlenose dolphins and tropical pilot whales. The variety of endemic species that inhabit the islands make them a tourist attraction. 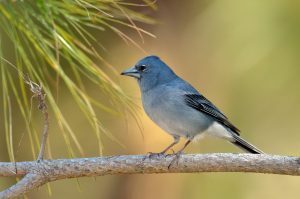 In relation to the fauna, some stand out as the blue finch of the Teide or the lizard tizón, known to be endemic to the islands of Tenerife and La Palma. On the other hand, among the flora we can find the daisy of the Teide, the flower of evil country or the red tajinaste, a kind of high mountain that can grow up to 3 meters. 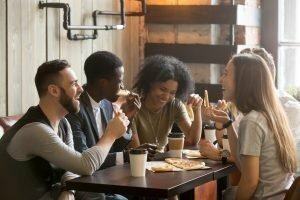 Those who choose to make excursions and trails through the places where these species live have the possibility to observe these species and get a good memory.